Is it the fresh turkey on Thanksgiving day you love or the turkey sandwiches that follow? It’s okay if you say, both! 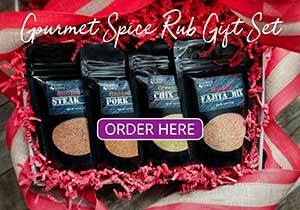 It’s a fortunate thing to enjoy a satisfying meal with such lingering benefits. Cranberry-Avocado Turkey Salad is the kind of healthy leftover turkey recipe you’ll have in mind as soon as the last fork goes down. Yesterday, when I asked the butcher at our local store which he liked best, he launched into a turkey sandwich story complete with hand motions layering his masterpiece, as though describing an old friend. 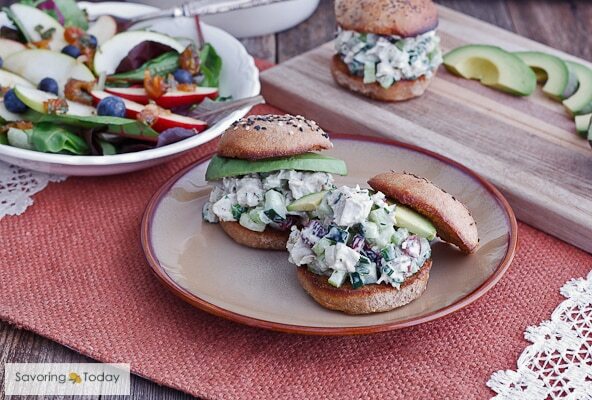 You’ll feel good about every bite of this turkey salad sandwich, from the infusion of vegetables to the homemade mayo and Sprouted Wheat Slider Buns holding it all together. The juicy crunch of cucumber, subtle green onion and stone ground mustard bring just the right kind of update to an old standard. If you need to stretch the salad a little further, add a handful of chopped apple, walnuts or bacon to the mix—let all the possibilities inspire you! Of course, if your holiday was more carb-heavy than you bargained for, you can skip the buns and serve this fresh-tasting salad on a bed of lettuce instead. This Cranberry Avocado Turkey Salad is the kind of healthy leftover turkey recipe you’ll have in mind as soon as the last fork goes down. In a large mixing bowl, combine the turkey, cucumber, celery, cranberries, onion, and parsley. Stir the mayonnaise and mustard together and fold into the turkey mixture to coat evenly. Salt and pepper, to taste. Turn broiler on high and lightly butter cut side of buns. Place buns on a rimmed baking sheet and toast under the broiler for 3 minutes, or until light golden brown. 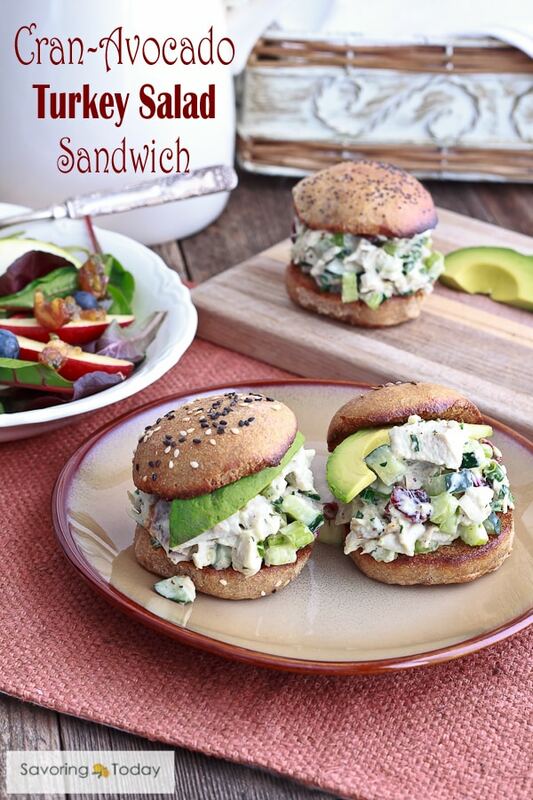 Serve turkey salad on toasted sprouted wheat buns or over a bed of lettuce. Top with 2-3 slices of avocado for each serving. Thanksgiving leftovers are the BEST! Its amazing how you came up with some great use for the leftover Turkey. I have some Turkey left I need to use. This sounds like a perfect Turkey salad. What a satisfying way to use thanksgiving leftovers! And the celery and cucumber adds the perfect crunch! This looks so yummy! Wow! What a great use of leftover turkey that ISN’T soup! LOL A light meal like this is exactly what we need after the sometimes heavy holiday food! We have lots of leftover turkey, and I can’t wait to make this!! Yum! I love the flavor combo of this leftover recipe. It’s so colorful and gorgeous! Bright flavours! I bet this comes together quickly. Pinning to remember this one after Christmas! (We Canadians have celebrated already,in October.. ) Will be delicious for sure. Love the cranberries mixed in! What a delicious way to use up Thanksgiving leftovers! Love a yummy sandwich like this one. This is definitely going on my menu for this weekend – such an easy meal and no cook after all the Thanksgiving cooking! Great turkey salad!! Love the addition of the avocado. That adds some great flavor and a different texture. Hope to have enough turkey leftover to try this as well as a couple more of your suggestions. Thanks for the great ideas! That is a really good looking sandwich. A turkey sandwich is definitely as popular as the main course as far as I’m concerned.